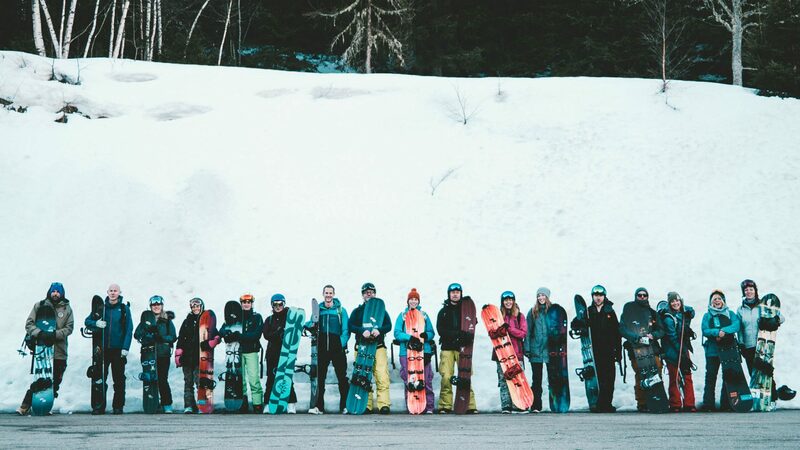 Olympic Bronze medal snowboarder, Jenny Jones has brought together a team made up of snowboard coaches, a personal trainer, a yogi and sports psychologist to bring snowboarders three workshops aimed at improving skills and wellbeing. The workshops will take place in Japan and the French Alps this coming winter and are open to intermediate to advanced snowboarders. This winter, Olympic Bronze medalist Jenny Jones is inviting intermediate and advanced snowboarders to join her on a selection of unique snowboarding workshops in Japan and the French Alps. We’re going to JAPOW – one of Jenny’s favourite places to go snowboarding!! We will be based in Niseko staying at the awesome Skye Niseko Hotel which is right in the centre of the resort and has its own spa and Onsen (Japanese hot pool). We will ride all the local resorts, Hanazono Grand Hirafu, Annapuri and Niseko, choosing the best options depending on conditions each day. There will be guiding (hiking / snowshoeing) and coaching through the week from expert Neil McNair and local guide and friend Owaine Bassett. Jenny will ride with the group throughout the week assisting with coaching tips and powder face shots 😉 And off snow we have the wonderful yoga coach Sian Leigh who will focus on the need for balance and recovery after a hard day on the hill. A fantastic, early season opportunity to work on your technical snowboard skills, develop your snowboard fitness and enjoy a fun four days of shredding before Christmas! To maximize progression, snowboard techniques learnt on the mountain during the day with Neil & Jenny will be followed up with an off-snow, targeted gym session with Jenny’s fellow Olympian and personal trainer Ben Kilner. At the end of the workshop Ben will put together a bespoke snowboard-specific training plan to prepare you for your next trip to the mountains. You will be a stronger rider, more in control, less tired, more confident and will have style for miles! A winter week to develop your snowboarding and progress your mindset. This workshop will focus on the aspects which Jenny’ believes are central to progressing your snowboarding: The riding itself; the psychology behind a successful performance; and the importance of looking after your body through restorative yoga sessions. By bringing in her chosen experts Jenny will pass on the training techniques that led to her successful snowboard career, giving you exclusive access to the support an elite athlete would receive in performance snowboarding.